Lippy Lucie: My 1st Blog Award!! Yayyyyyy!!! 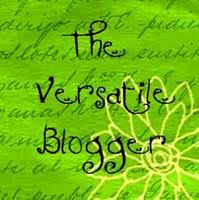 I have won my first blog award!! I am ever so flattered.. especially as there are sooo many amazing blogs, nail artists out there! Thanks so much to The Cat Eyes Have It for nominating me for this award!! Your blog is awesome!! I will get round to nominating some people for the award very soon..